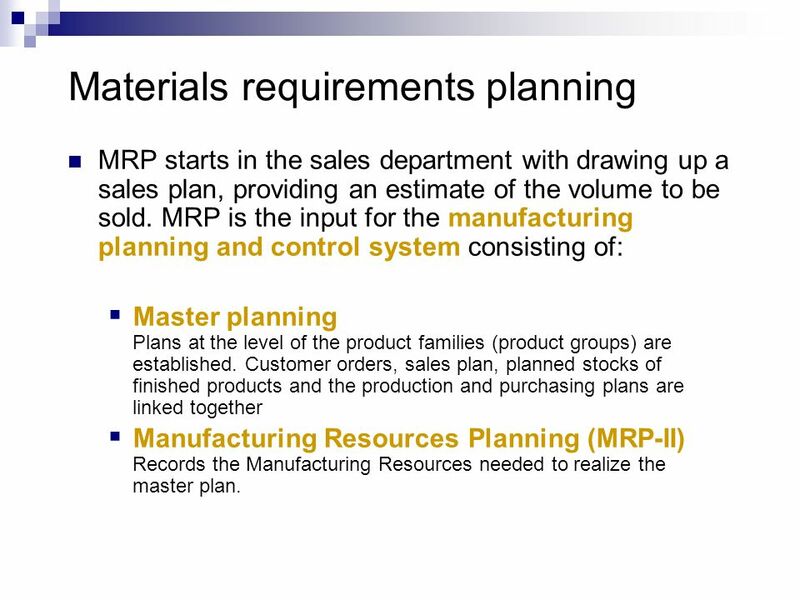 MRP starts in the sales department with drawing up a sales plan, providing an estimate of the volume to be sold. 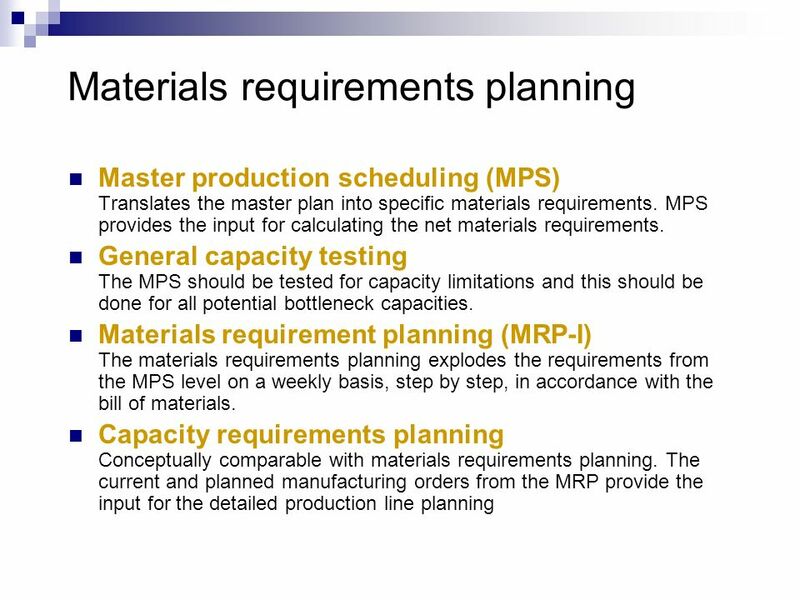 MRP is the input for the manufacturing planning and control system consisting of: Master planning Plans at the level of the product families (product groups) are established. 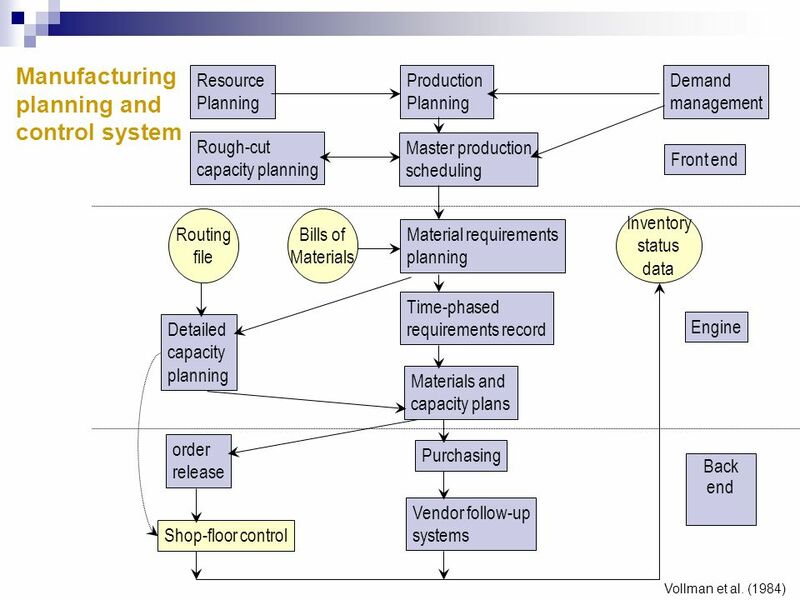 Customer orders, sales plan, planned stocks of finished products and the production and purchasing plans are linked together Manufacturing Resources Planning (MRP-II) Records the Manufacturing Resources needed to realize the master plan. 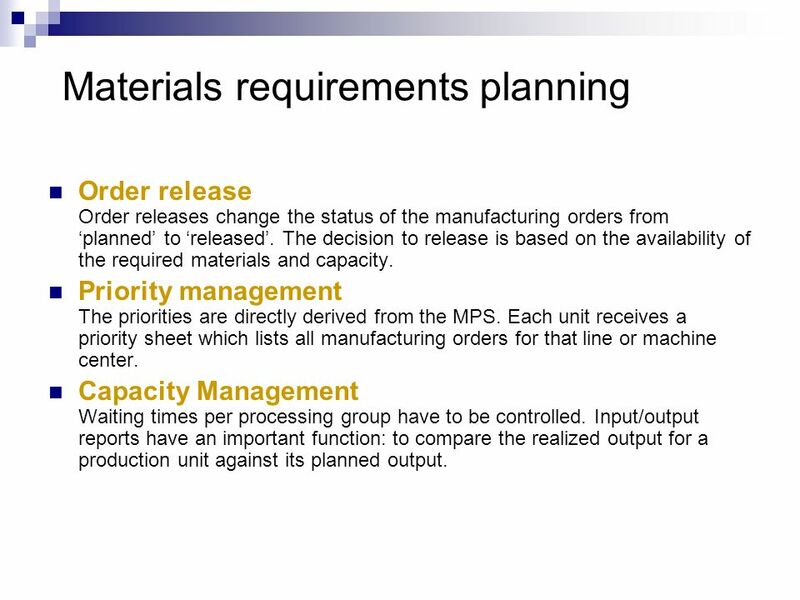 Order release Order releases change the status of the manufacturing orders from ‘planned’ to ‘released’. The decision to release is based on the availability of the required materials and capacity. Priority management The priorities are directly derived from the MPS. Each unit receives a priority sheet which lists all manufacturing orders for that line or machine center. 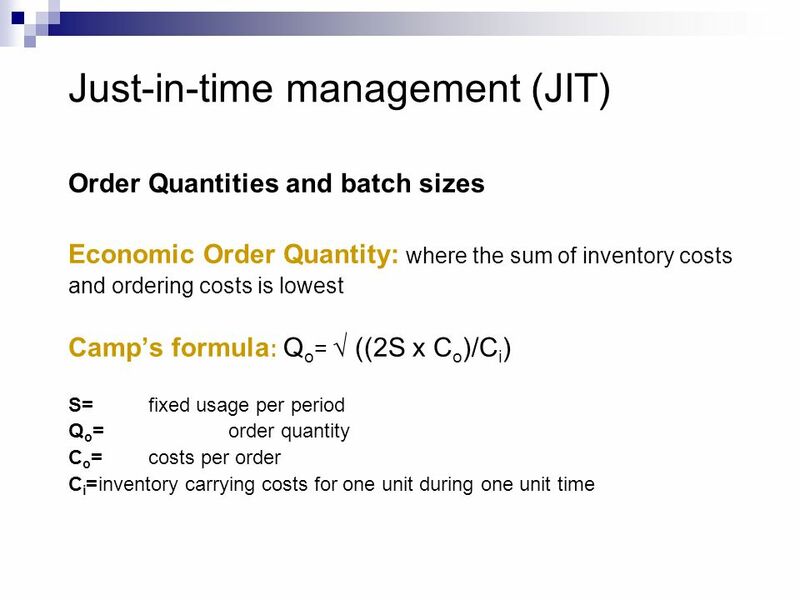 Capacity Management Waiting times per processing group have to be controlled. 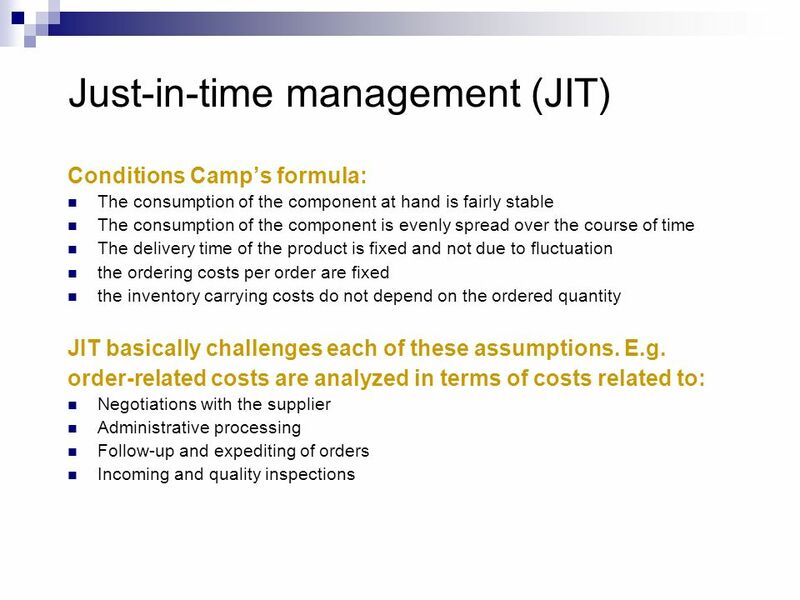 Input/output reports have an important function: to compare the realized output for a production unit against its planned output. 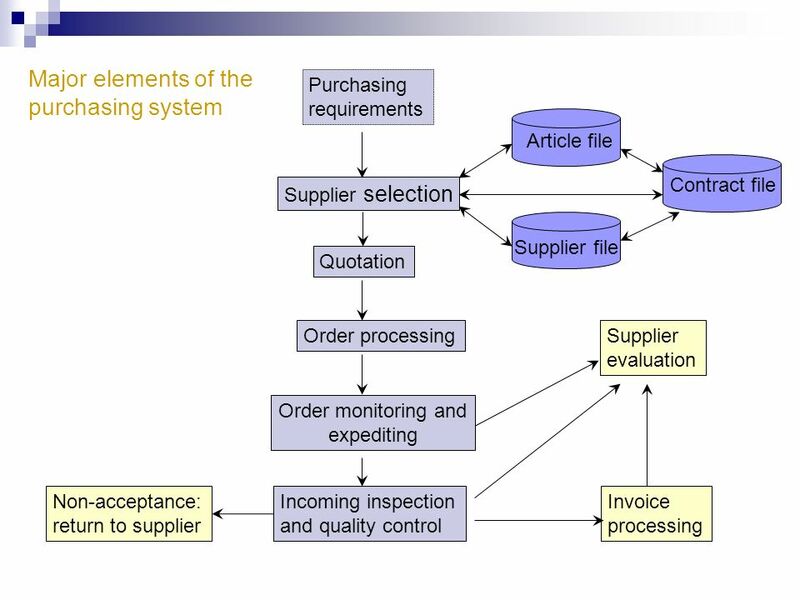 Difference between MRP-I and MRP-II MRP-I stands for materials requirements planning; aims at releasing and managing manufacturing orders and purchasing requisitions. 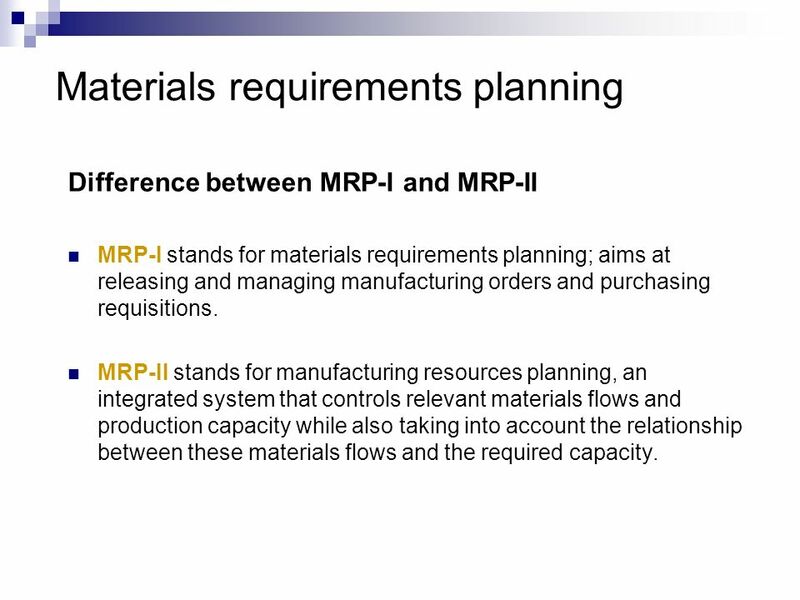 MRP-II stands for manufacturing resources planning, an integrated system that controls relevant materials flows and production capacity while also taking into account the relationship between these materials flows and the required capacity. 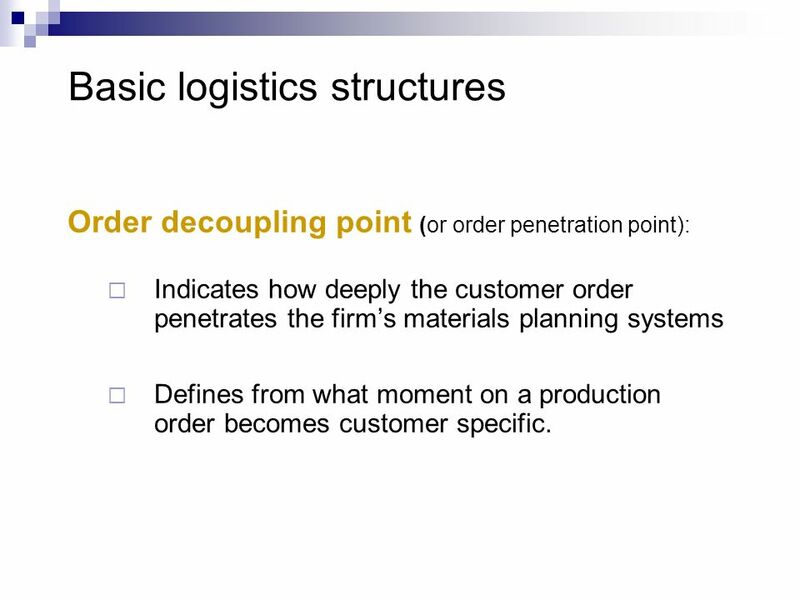 Order decoupling point (or order penetration point): Indicates how deeply the customer order penetrates the firm’s materials planning systems Defines from what moment on a production order becomes customer specific. 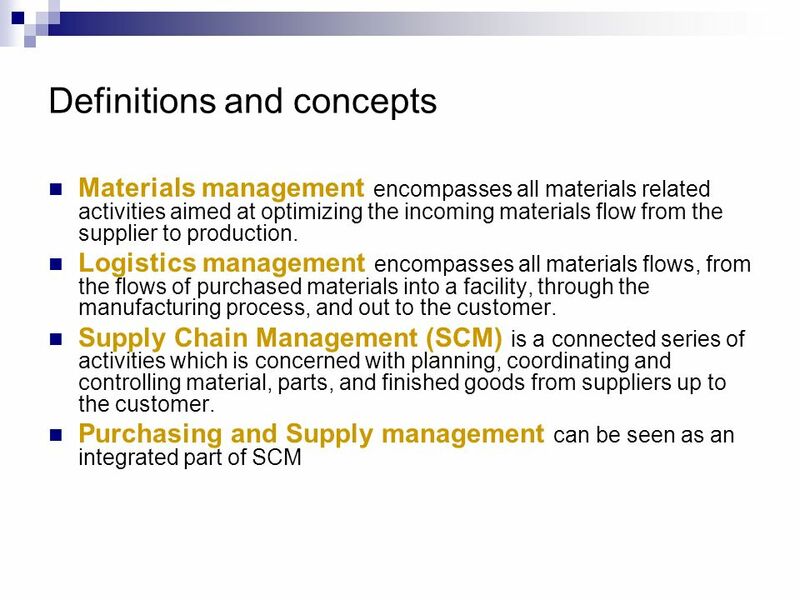 Five basic manufacturing and logistics structures Making and sending to stock (MSS) Products are manufactured and distributed to distribution points which are dispersed and located close to the customer. E.g. sweets, foods, beverages. Making to (central) stock (MTS) Finished products are kept in stock at the end of the production process and are from there shipped to geographically dispersed customers. E.g. dairy products. Assembly to order (ATO) Only systems elements, modules or subassemblies are in stock at the manufacturing center, whereas final assembly takes place based on a specific customer order. E.g. cars, computers. 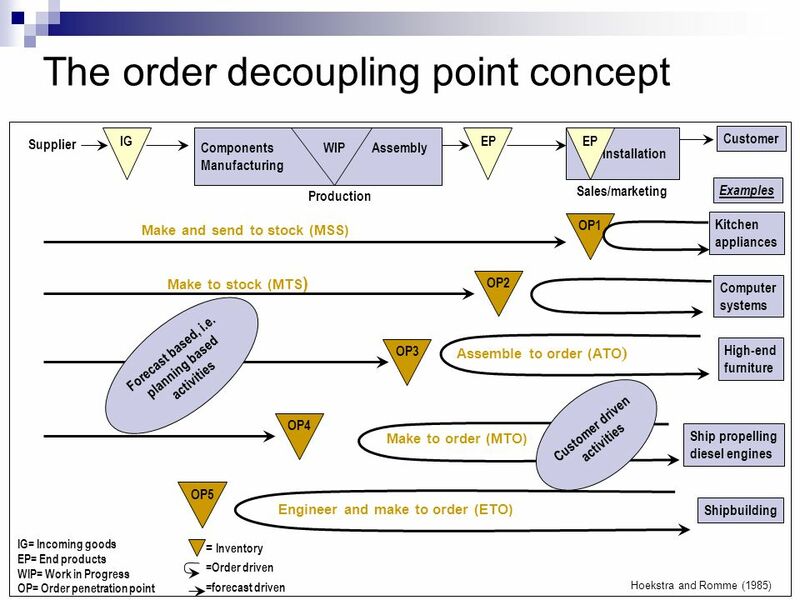 Making to order (MTO) Only raw materials and components are kept in stock. Every customer is a specific project. E.g. beer and lemonade cans, basic construction materials Engineering and making to order (ETO) No stock at all. 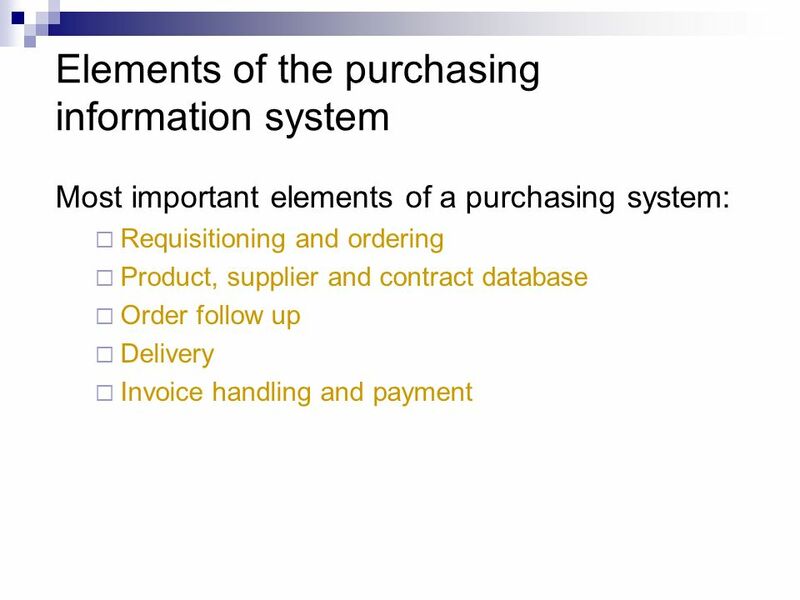 The purchase and order of materials takes place based on the specific customer order. E.g. construction companies and shipyards. 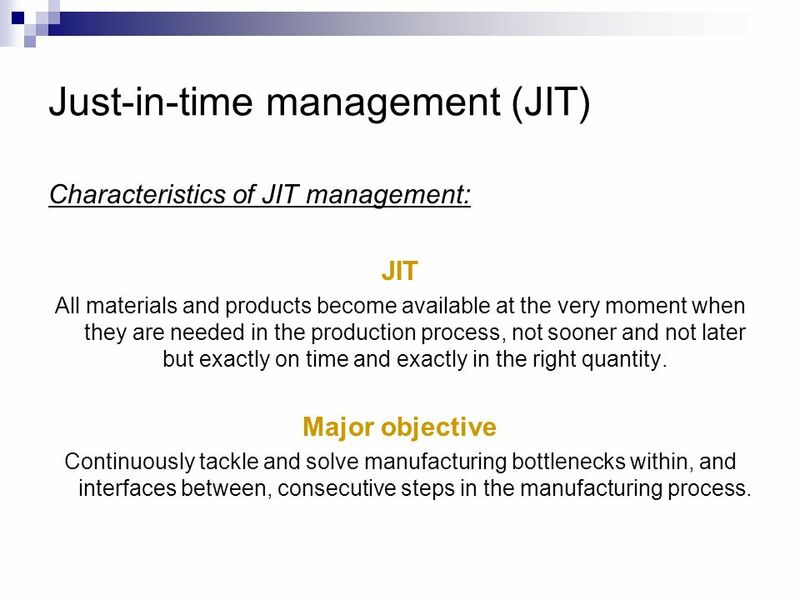 Characteristics of JIT management: JIT All materials and products become available at the very moment when they are needed in the production process, not sooner and not later but exactly on time and exactly in the right quantity. 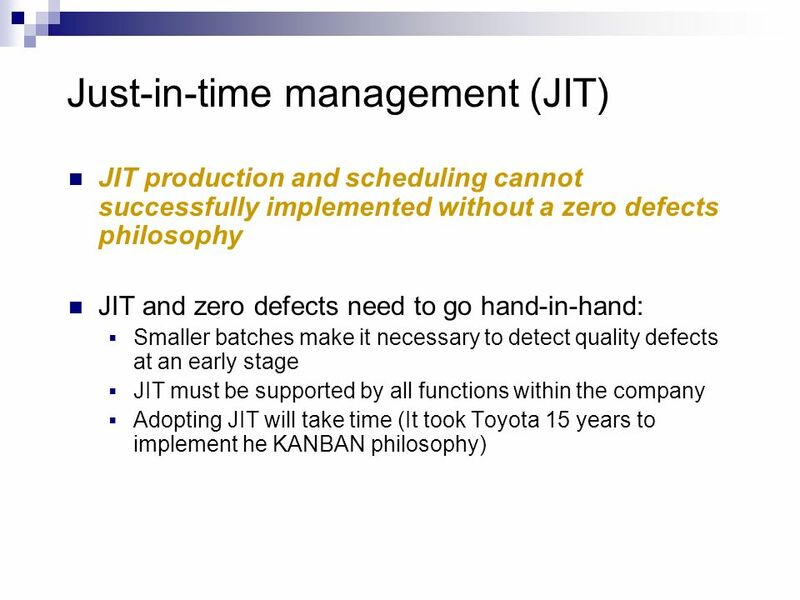 Major objective Continuously tackle and solve manufacturing bottlenecks within, and interfaces between, consecutive steps in the manufacturing process. 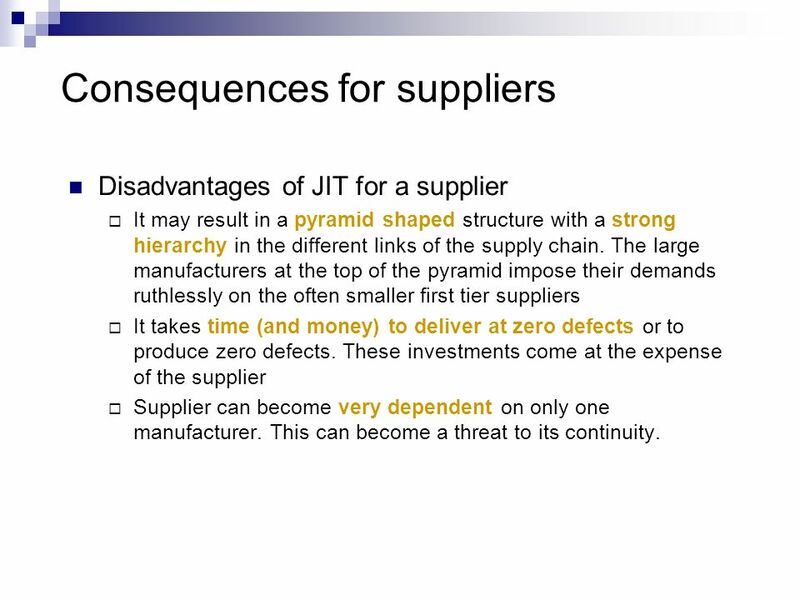 Disadvantages of JIT for a supplier It may result in a pyramid shaped structure with a strong hierarchy in the different links of the supply chain. 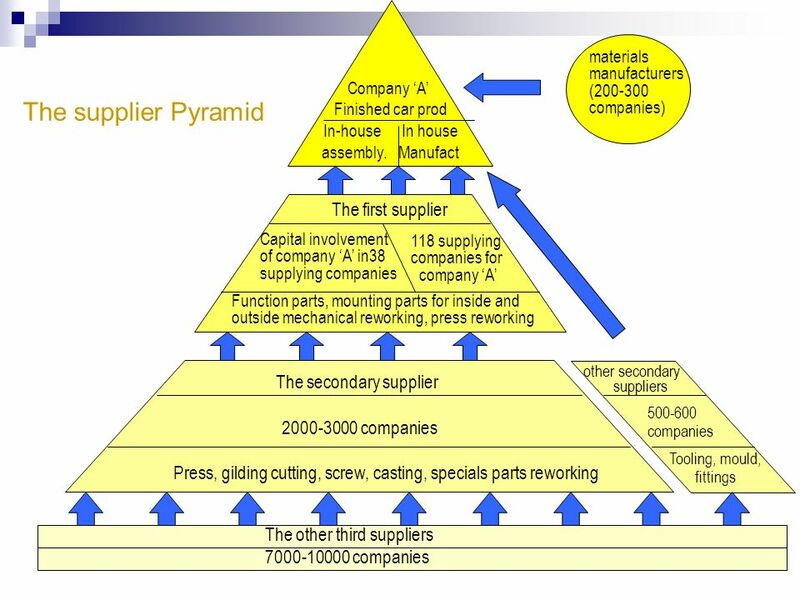 The large manufacturers at the top of the pyramid impose their demands ruthlessly on the often smaller first tier suppliers It takes time (and money) to deliver at zero defects or to produce zero defects. 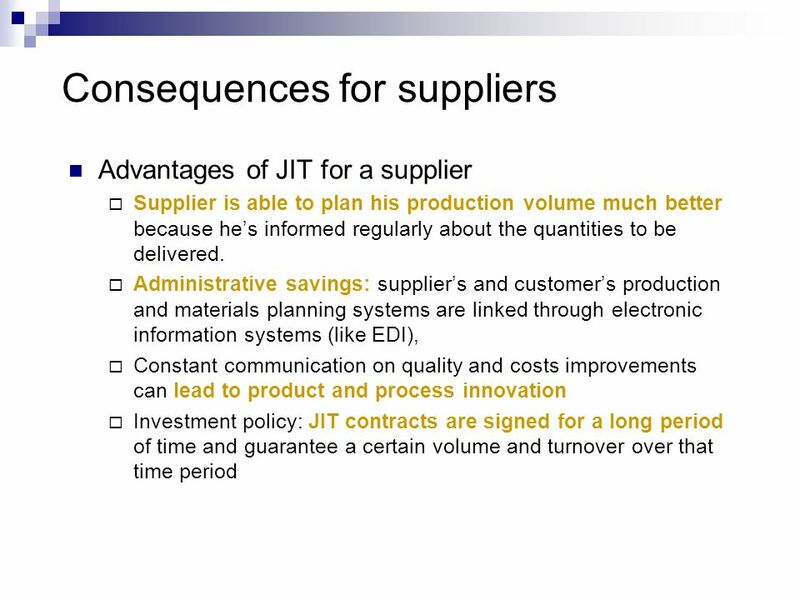 These investments come at the expense of the supplier Supplier can become very dependent on only one manufacturer. This can become a threat to its continuity. 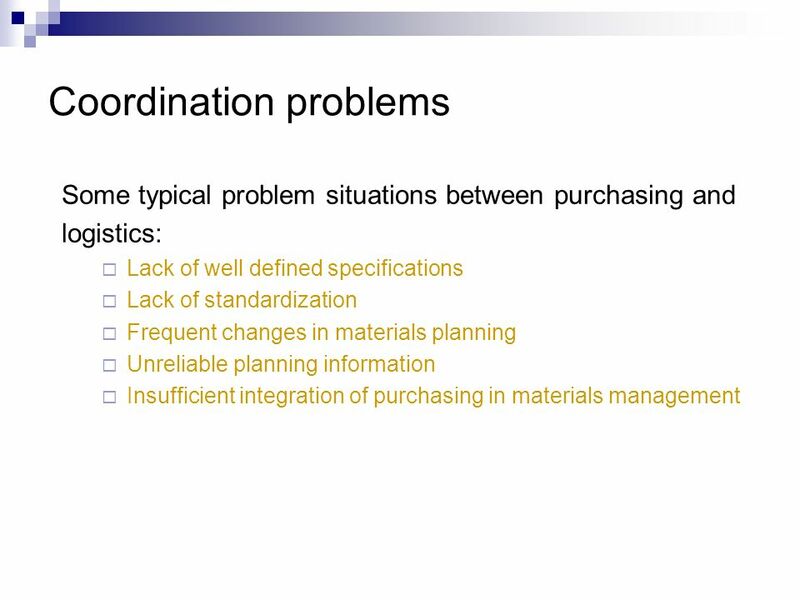 26 Conclusions The co-operation between purchasing, materials planning and logistics should result in an efficient and uninterrupted flow of products. 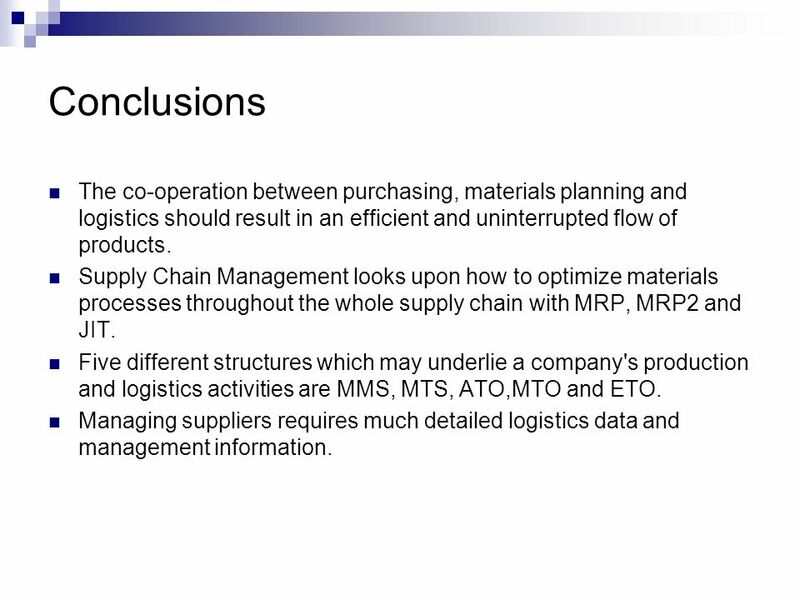 Supply Chain Management looks upon how to optimize materials processes throughout the whole supply chain with MRP, MRP2 and JIT. 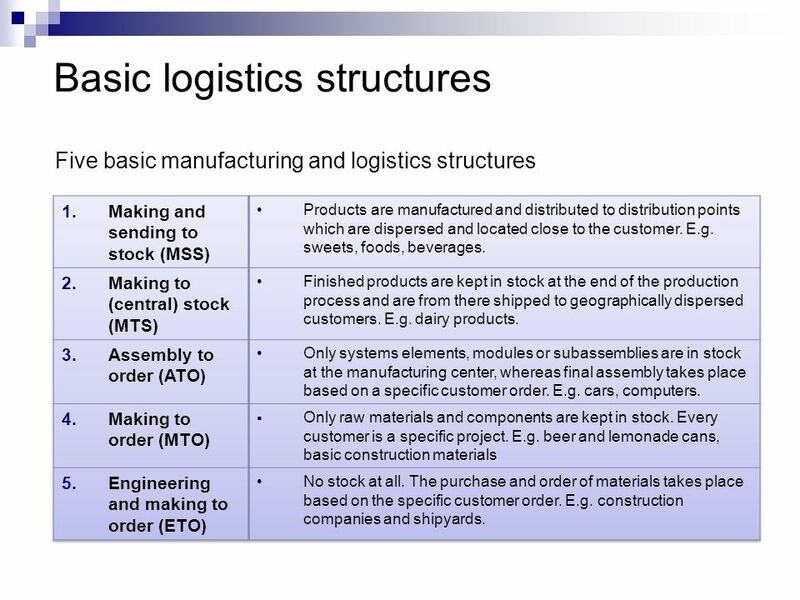 Five different structures which may underlie a company's production and logistics activities are MMS, MTS, ATO,MTO and ETO. 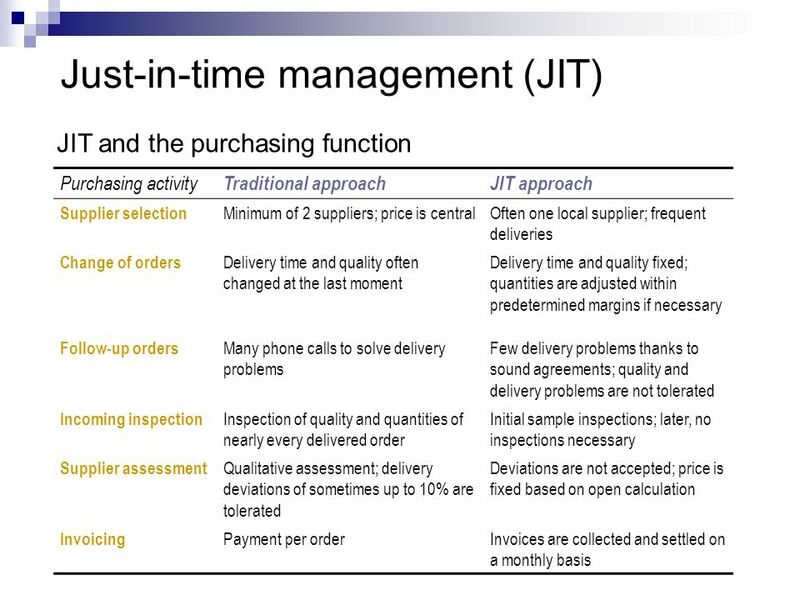 Managing suppliers requires much detailed logistics data and management information. 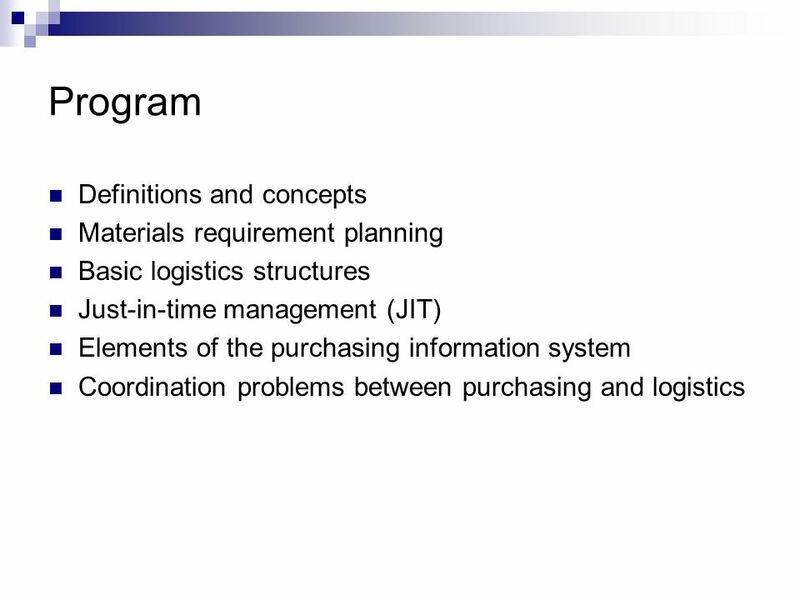 Download ppt "Chapter 12 Purchasing, logistics and supply chain management"
Appendix C Manufacturing Information Systems MANAGEMENT INFORMATION SYSTEMS 8/E Raymond McLeod, Jr. and George Schell Copyright 2001 Prentice-Hall, Inc. 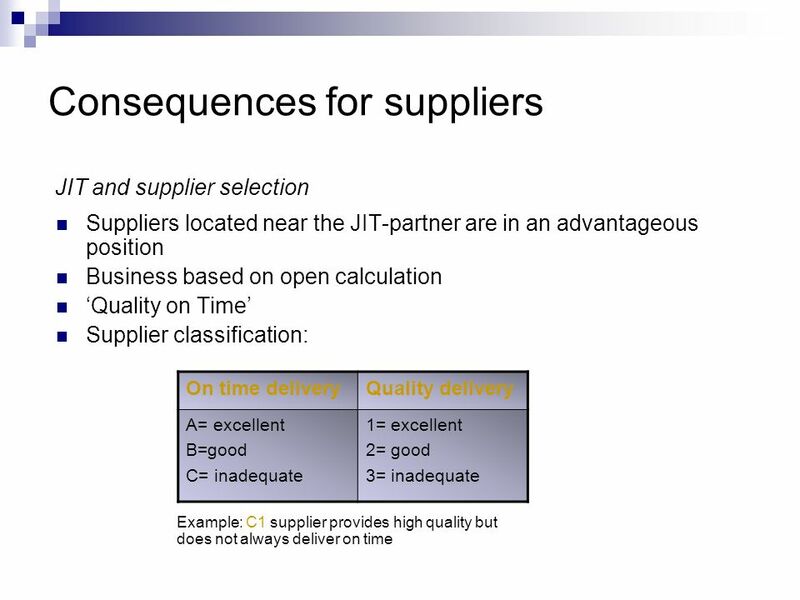 Copyright © 2003 Pearson Education Canada Inc. Slide Chapter 20 Inventory Management, Just-in- Time, and Backflush Costing. 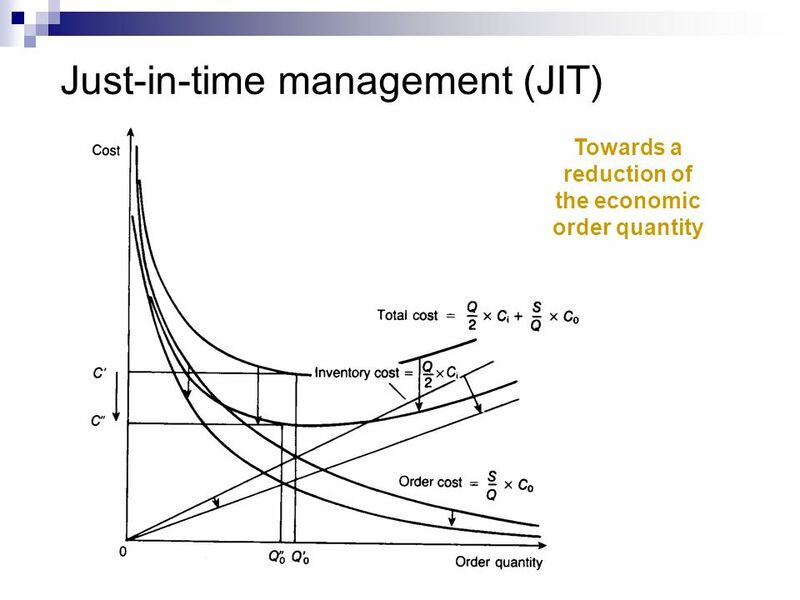 Inventory Control, Cost & Deterministic models Unit-III Revised version. Production Planning Devaki Nadkarni Production Planning Annual demand by item and by region Monthly demand for 15 months by product type Monthly demand. 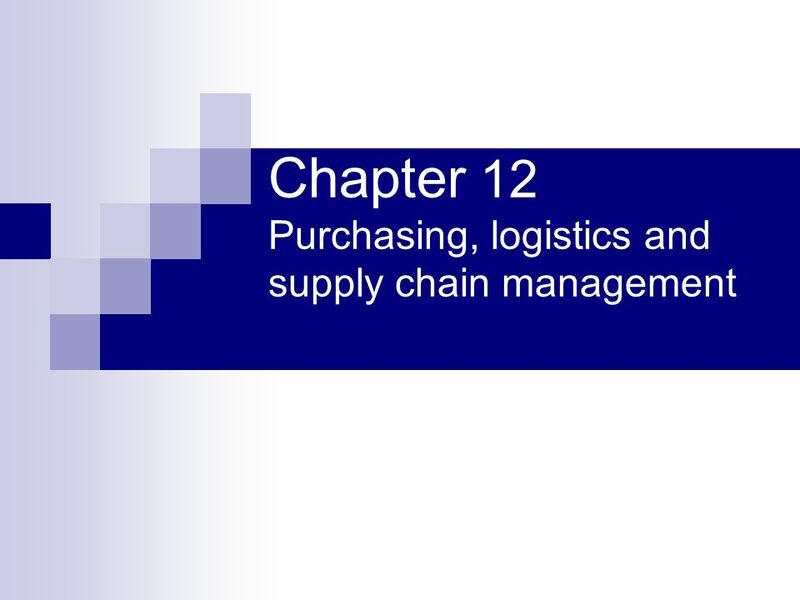 © Cengage Learning – Purchasing & Supply Chain Management 4 ed ( ) Planning 12. 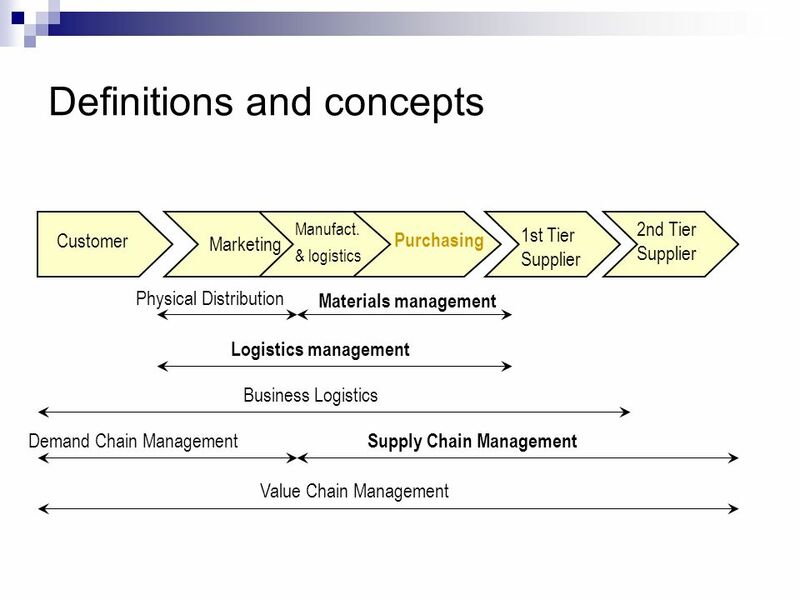 Purchasing and supply chain management.